Ezra Koenig: Our nyoo record is finally about to be released. Chris Tomsin: I kneeow! It's soooo exciting. How do you think people will like the auto-tyooon? EK: If they're not ready for it, like, that's their problem. This is the nyoo VW. We kyant just run in place! CT: You got that right. Some of our drum fills are super-harduh! If only people knew. EK: Well, I sure have a clue about it. EK: Oh yeah. Big time. Anyway, I did just finish my first through-listen, and it's really not night and day different. But still, it's distinct from the first as it doesn't have that surface-level charm that overflows from every song. Yet there's something curious about Contra that warrants further exploration. I guess I'd define it as far less accessible, which can't be defined as a good thing or bad thing, really. This might be in an effort to scrape away the rosey-cheeked sheen of songs like "Oxford Comma" and "A-Punk" an establish themselves as something more than indie teenbeat. Sadly, the paradigm might shift right with them, with leagues of Urban Outfitted 19 year olds parading behind. I'll be interested to see how this one settles in, not to mention how it's critically received. Paste already gave it a shining review, but since Ezra Koenig was on the cover it might have been rated with a degree of self-awareness. They'd look kinda silly undermining themselves like that, right? Anyway, will the tinkly keys, flecks of auto tune, and complex rhythmic/melodic interplay bode well for a young group with heaps of promise despite it's stupid moniker? Time will tell. 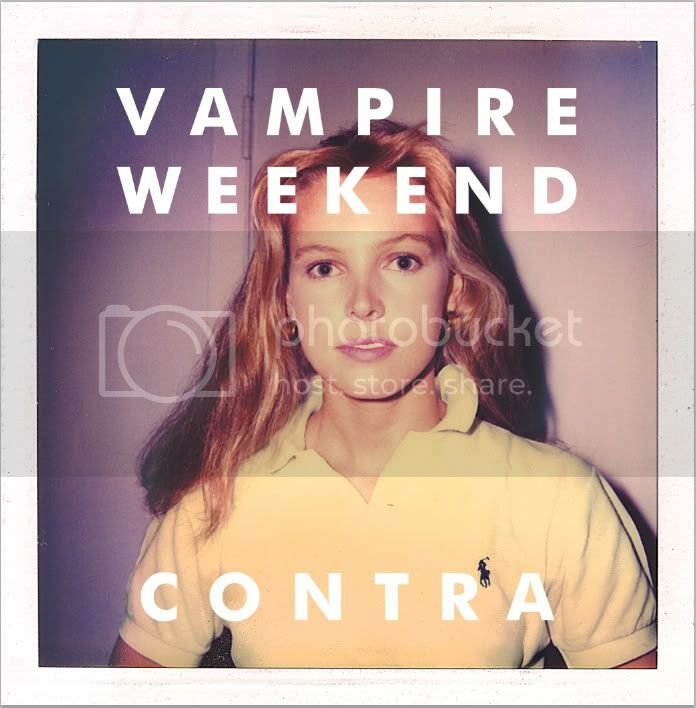 I LOVE Vampire Weekend new album. For my part, I enjoy more this album than their first album. Hi Mary: Actually, by now, I'm with you on loving Contra more than VW.